Michael St. James, managing principal at Acumen Development Partners, West, believes ego shuts communication down. SAN FRANCISCO—Avoiding communication breakdown during development is key to bringing a hotel to life ahead of schedule and under budget. While effective dialogue holds together the moving parts of a project, being humble can jumpstart difficult conversations among key players. “When I look at it from the perspective of the designer and when I look at it from the perspective of the developer, I’m going to add two words: ego and humility,” said Michael St. James, managing principal at Acumen Development Partners, West. Industry leaders met at RH Contract’s headquarters in October to discuss why and when communication breaks down during development projects. Panelists also explored how dialogue among owners, designers and purchasing agents can be improved to create cohesive processes. Yet, industry leaders should still create boundaries before agreeing to projects. For example, being upfront about budget restraints can open up conversations about potential project workarounds. Humility begets openness. Open communication among owners, developers, designers and purchasing agents gives them opportunities to find middle ground. “You’re never going get that when I’m bullying somebody from a developer’s perspective, or I’m just trying to defend the integrity of my design from architectural standpoint, so that humility is really refreshing and an important component to communication,” he said. 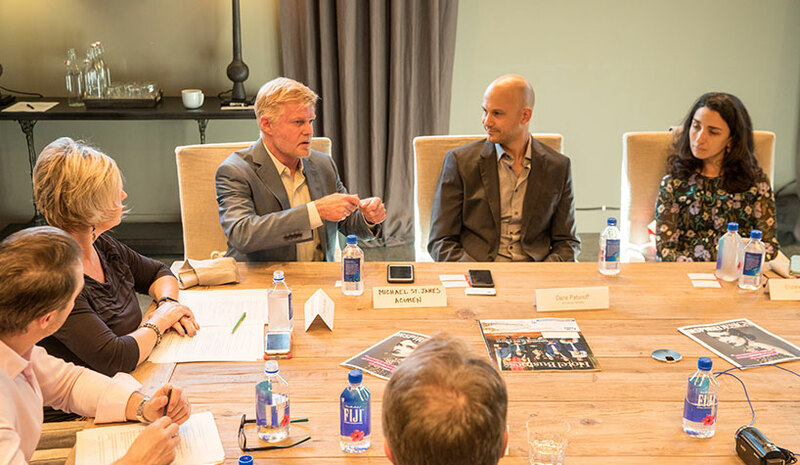 For more on Hotel Business’ roundtable on how industry leaders can communicate more effectively during development projects, read the upcoming Nov. 7 issue.